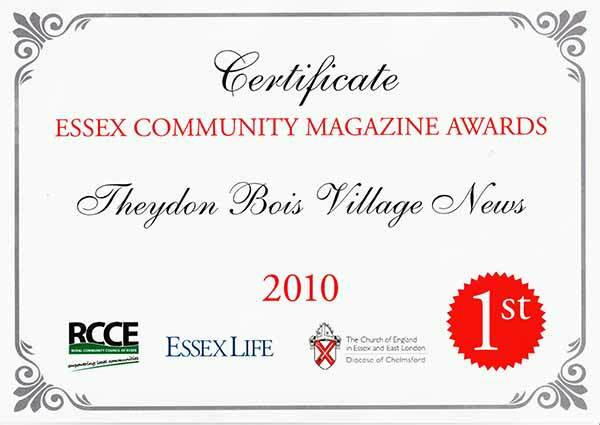 Community magazines from all over Essex again entered this years Essex Life Community Magazine Awards Competition run by the RCCE (Rural Community Council of Essex) sponsored by Essex Life Magazine, the Church of England, Diocese of Chelmsford and Newport News. 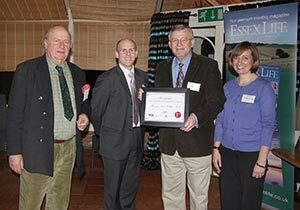 Sixty five communities from every part of Essex had submitted entries for the competition this year and Village News was selected as one of the 16 finalists invited to the the awards ceremony on 24th November held at The Peldon Rose, Peldon near Mersea Island. Theydon Newsdesk Editors Tony Ames (Village News) and Jim Watts (Village Website) together with our Parish Clerk and Newsdesk member Sally Crone attended the awards ceremony and prior to the presentation they browsed through samples of many of the entered magazines before Nick Shuttleworth Executive Director of RCCE opened the proceedings. It seemed that the overall standard this year was higher than ever, with some especially good entries, so they were doubtful that Village News could improve on its third place position in last years competition and the 1st place achieved in 2007 seemed well out of reach. from Julian Read of Essex Life. Firstly four merit awards were made and Village News failed to get mentioned and so they held their breath as time came for the final three. Third Prize went to Hatfield Peveral Review, Second to Wivenhoe News and then they were delighted to learn that Theydon Bois Village News was First! - The Top Community Magazines in Essex, Winner of Newport News Prize. 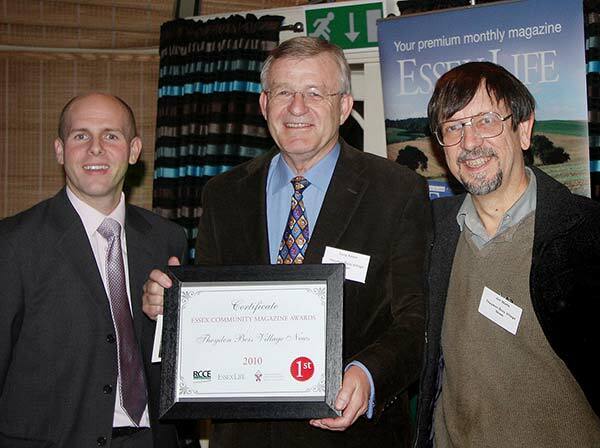 The editor of Essex Life, Julian Read, presented the certificate and prize of £100 and this will go towards future improvements to the magazine. An article and photographs of the event will be published in a future edition of Essex Life magazine. Tony Ames in accepting the award on behalf of Theydon Newsdesk compared being an editor to that of a conductor. "You just hope that on the night your orchestra plays well". Many thanks to our "Orchestra" - all the players, from the editorial committee, to the providers of copy, to our sponsors and to the individuals who deliver our magazine. All are important parts of and contribute to, the continuing success of our Village News. Many of Theydon's villagers from the very young to our more senior citizens, who still have vivid memories of wars past, turned out to honour those those who have died in two world wars and more recent conflicts. 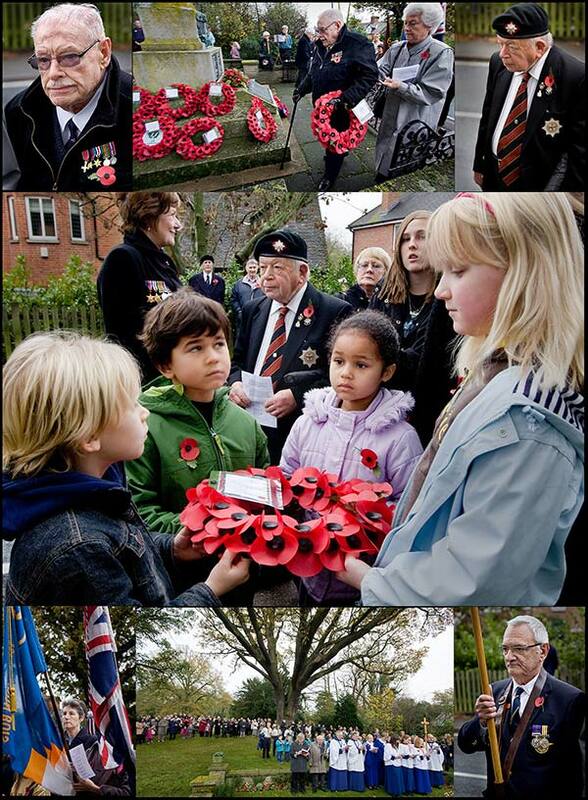 Wreaths of poppies were laid at our War Memorial by District & Parish Councillors and Village Groups. The last post was sounded and a service of remembrance followed in St. Mary's Church. Led by volunteers under the direction of Sue Taylor its Director, the Loughton Festival works with schools, churches, local organisations, clubs and societies to produce six-weeks of music, arts, heritage, literary and children's and young people's events that draw the community together and raise money for charity. Every year, local organisations, clubs, schools, churches, the Loughton Town Council, and Epping Forest Arts independently organise their own events as part of the Loughton Festival to raise funds both for themselves and also for various charities, including in 2011, Guide Dogs for the Blind. These events become part of the Loughton Festival. 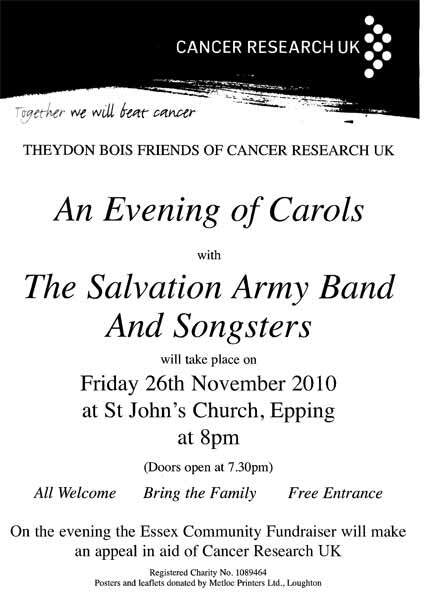 Sue Taylor would now like to invite local groups and organisations to contact her if they would like to be included in the April 2011 Loughton Festival programme. Individuals may also apply to be included. For example, in April 2010, Cllr. John Markham displayed his artwork at the Gardeners Arms. Unfortunately, the festival is unable to fund associated events, but they will offer support and will include all associated events on their website: www.loughtonfestival.org and, where space permits, in their printed programme. Although it is called, 'The Loughton Festival', associated events can be staged anywhere in the Loughton / Epping Forest areas, including Buckhurst Hill, Chigwell, Chingford, Epping, Theydon Bois, and Waltham Abbey. All an event organiser needs to do is agree to include the Loughton Festival logo on their publicity and undertake to raise money for the Guide Dogs charity. 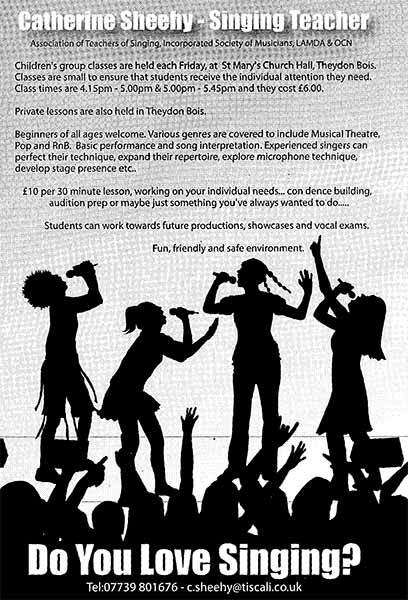 Some Loughton Festival highlights to look forward to in 2011 include the Loughton Youth Music Festival and the popular all-day guided walk across fields and forest: 'From William Penn to Charles Dickens', who are both associated with Chigwell. There will also be talks by local historian, Peter Lawrence and James Bettley (who in 2007 published the newly updated Pevsner of Essex), an operatic concert and much more. 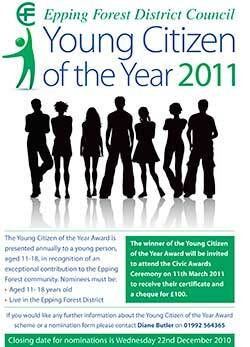 The search will be on to find the Young Citizen of the Year 2011 in November/December 2010. This prestigious award goes to someone who has given their time and energy, on a voluntary basis, to benefit the local community and is open to anyone aged 11 – 18 living in the Epping Forest District. Nominees don’t have to be well-known or involved in major events. It could be anyone, just as long as their efforts benefit local people. Someone who has shown outstanding courage. Someone who has done something of great benefit to you or your community. Someone who has shown extraordinary commitment, energy and effort in their particular field or towards achieving a particular goal. 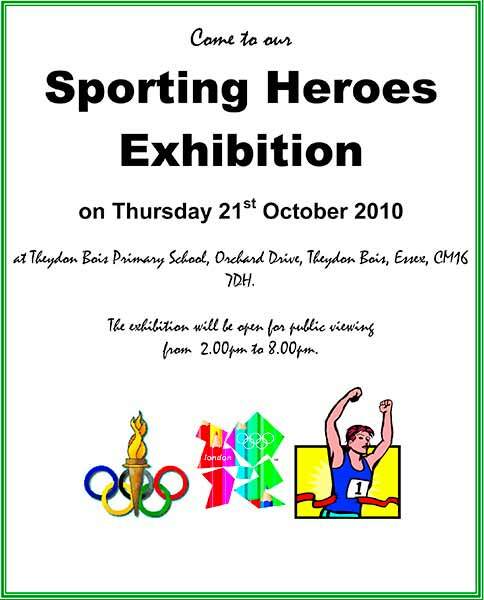 The winner will be invited to attend the Civic Awards Ceremony on 11th March 2011 and receive a certificate and a cheque for £100. You will by now probably have noticed that a new second Avenue of Oaks has already been planted along the Village Green. 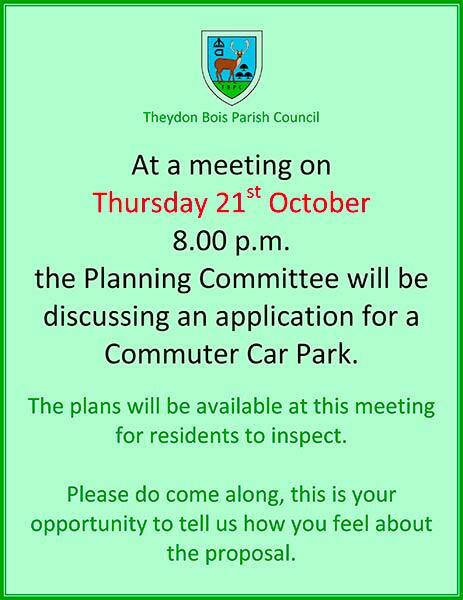 This follows the public consultation for villagers carried out by the City of London, who are responsible for the Village Green (which forms part of Epping Forest), back in 2008. The semi-mature Oaks were chosen by Jeremy Dagley (City of London Conservation Officer) and Keith Thompson of the City of London and Village representatives, including our Tree Wardens, on a visit to Barcham's of Ely in August for planting this winter. 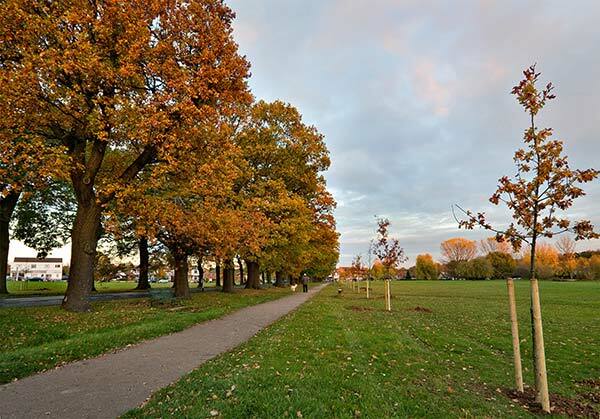 The Parish Council are the process of planning a major event for the whole of the village to take part in as a celebration of the inauguration of this new Avenue of Oaks. This will probably take place on a date in the spring when the weather is better and the days are longer and by then the trees may even have put out some new leaves. These semi-mature new oaks had to be planted by the City of London this winter because this is when the conditions are correct to give them the best chance of survival. The City of London Open Spaces Committee periodically visits particular projects in Epping Forest and they were due to visit various sites in the area on Saturday 6th November. 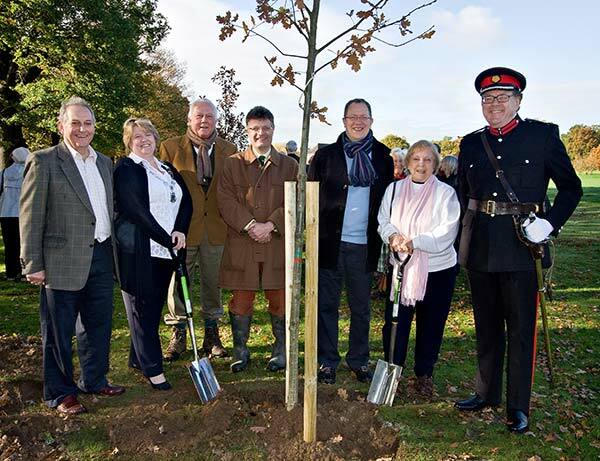 It was expected that the planting of the new avenue was to be underway by then so they wanted to visit the Village Green, inspect the planting work and have a small planting ceremony. Their visit was intended to last only for an hour (9.30 - 10.30am) and because of the limited time on this occasion it was only possible to invite a small number of representative interested locals from the Rural Preservation and Horticultural Societies, our Tree Wardens, Tree Strategy Committee and Parish Council. 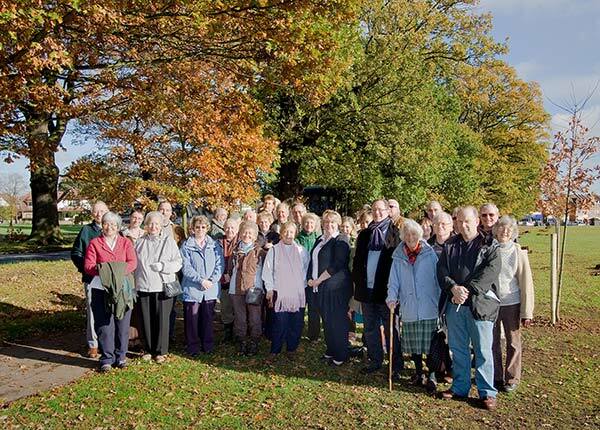 Barbara Newman (Open Spaces Chairman) & Sue Jones (Parish Council Chairman)in the centre with some representatives of the Theydon Bois Community and Open Space Committee members in the 'old' and 'new' Avenues of Oaks. 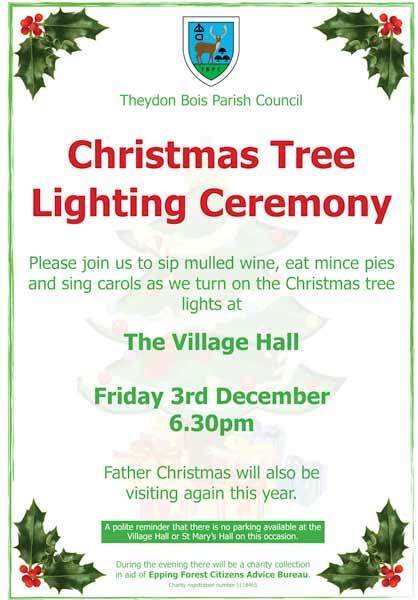 The City of London will join with the Parish Council next year in promoting the ‘Proper Inauguration and Celebration of the New Avenue of Oaks’ in an event to be enjoyed by all villagers that marks this very important event in the life of Theydon Bois. Watch this space and Village News for details. 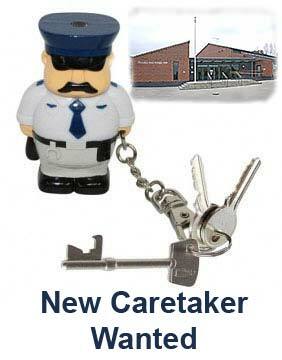 The position for a new Caretaker/Keyholder for our Village Hall (see earlier) following the announcement of the retirement of Roger Badcock has now been filled by the Village Association. Plot outline: Edward Bare, a charming rogue, marries Monica, a wealthy but ailing widow many years his senior. Monica is convinced that her young husband loves her for herself, not her money. But Edward is anxious that Monica is kept in a stuffy, overheated room and constantly plied with whisky. Are his attentions really in her best interests? Based on the 1950s film Cast a Dark Shadow which starred Dirk Bogarde. The Cemetery Committee has agreed to plant more Daffodils at the Cemetery this autumn to further enhance the wonderful display of Spring Flowers up there. Cllr. Anthony has kindly obtained the daffodils and he has sacks of them ready for planting at his house. This is just a plea to ask for volunteers to help with the Planting. Anthony will be arranging some planting this Saturday morning but if anyone cant make this but would like to help then you can obtain the bulbs from Anthony and plant them when you have the time. I see no reason why the planting should be limited to Councillors and it would be nice to involve the community – please therefore pass word around to fellow friends and villagers as it is a very worthwhile and rewarding project. 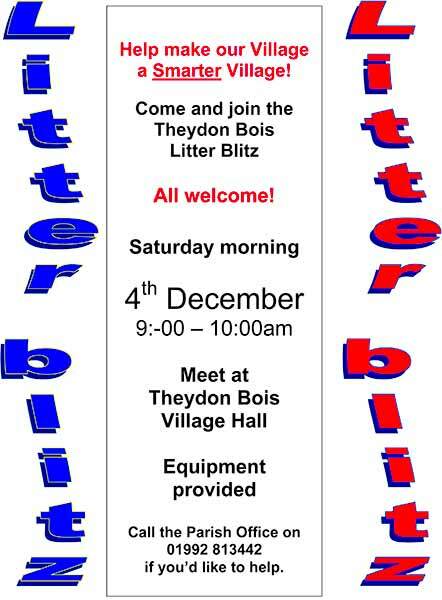 THEYDON BOIS VILLAGE HALL requires a Caretaker/Keyholder as our present member of staff will be retiring in December. 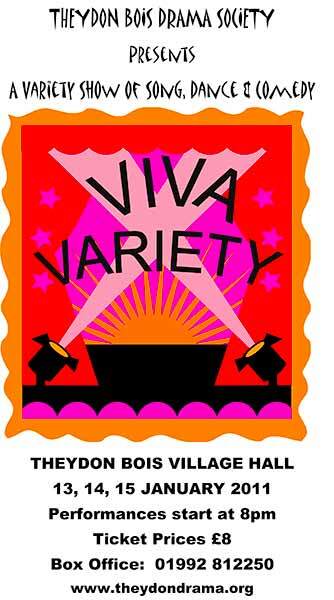 The hall is well used by many groups throughout the week and principle duties include opening up and securing the building - sometimes three or four times a day - therefore we require someone living in Theydon Bois. The position is for six days per week but could be SHARED by two people. Could suit recently retired person. This is a salaried position. Trevor Roberts our Local History Recorder has been producing monthly reports of notable and interesting village events for some 14 years, entirely on a voluntary basis. 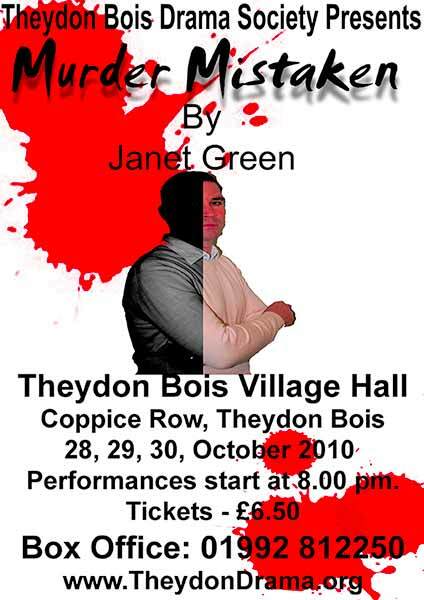 His practice is to write a monthly report and a summary of this is placed on the village website as “The Month in Theydon”. Once a quarter he submits a further edit of the past three month’s articles for inclusion in Village News. This may be further edited down according to the space which the Editor has available. 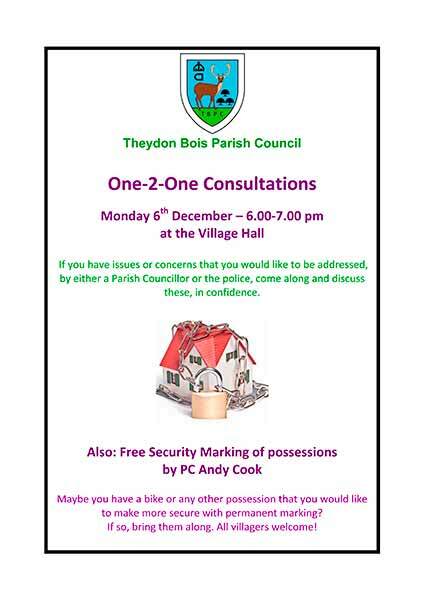 The June 2010 “The Month in Theydon” and September 2010 Village News (Issue 71) contained articles on the result of the poll for the election of 2 Parish Councillors for Theydon Bois held on Thursday 17 June 2010. After investigation, Trevor Roberts now understands that the information sources used to create the articles and the final edits were incorrect in a number of respects. Trevor and the Theydon Newsdesk editors always try their best to ensure that all published reports are factually accurate and balanced but are volunteers with limited time and resources. Trevor and The Village Newsdesk Committee would like to offer sincere apologies to Councillors Annie Wood, George Howard and the Liberal Democrats for any offence or embarrassments that may have been caused by the inaccuracy of the Local History Recorder’s Report relating to the Parish Council by-election. The Village Newsdesk Committee would also like to extend these apologies to former Parish Councillors Jacqueline Dodman and Mike Emmett for the same articles. 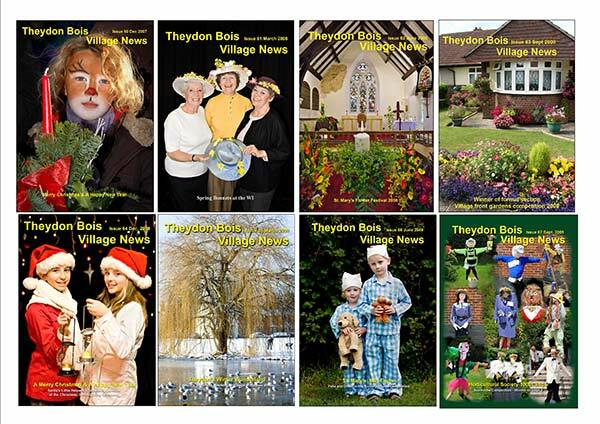 The Website pdf of September Village News and “The Month in Theydon” have now been edited to remove the offending passages and the above apologies will appear in the next issue of Village News. We are sorry that the high standards that Theydon NewsDesk aspires to were not met on this occasion.